To combat aggressive animal activities in two Arizona counties, a bill was presented to the governor that would outlaw feeding wild animals. If signed into law, a $300 fine would be given to anyone caught giving food to wildllife in Maricopa and Pima counties. 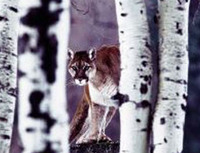 Several animal encounters, including incidents with mountain lions, have been tied to food being left for everything from squirrels to coyotes. According to the Arizona Republic, state biologists have been seeking the power to cite animal-feeding offenders for a couple of years. The governor is expected to act quickly on the bill. I reckon that'll really hurt the bird-feeder industry!